Based on what we see in the media, work-life balance is a woman’s problem. It’s one of the reasons given for why women can’t hold executive positions. When they do make it to the top, they are questioned on how they will handle it. (For example, Matt Lauer asked GM’s CEO Mary Barra how she was going to manage motherhood and her job responsibilities). Except for a 2013 article about “Alpha Dads” in Business Week, little attention has a been paid to the work-life balance issues faced by men. That’s why Max Schireson’s blog post, Why I am leaving the best job I ever had, has received attention. In the post, he explains that he is stepping down from his role as CEO of MongoDB in order to spend more time with his family. 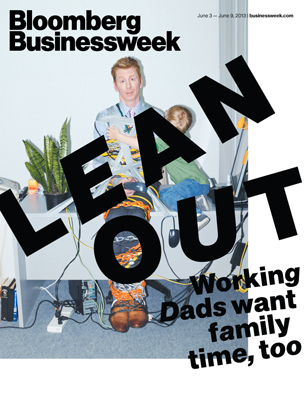 It’s uncommon for an executive to publicly share his struggle to balance work and family. It should be noted that Schireson is not leaving the company; he’s taking on the role of Vice Chair. The speculation is that he will still be working 50- 60 hours/week. The main difference is that he will stop living on airplanes. The expectation is that he will be able to be home at nights and make himself available when there are emergencies and/or special occasions. Because it is unusual, Schireson’s post has been mentioned on ABC News, Business Week, Fortune, and ZDNet- although NOT front page news. While some online comments have been critical of his decision (because men ‘should’ always put work first- and working ridiculous hours is a source of pride), many have commended him. Personally, I am pleased to see his openness and hope it will help other men follow in his actions. If enough men are willing to talk about their desire to balance work and home, it will cease to be a women’s issue. Ultimately, I hope companies will proactively seek ways to allow- maybe even encourage- people to manage their lives without working 70-80 hour work weeks (at least, not all the time). What do you think will help to make that happen?